Sharon is continually inspired by architectural elements within her surrounds. It may be a wrought iron detail on a fence, a mounding on a historic building, tiles that have seen a century of wear or within the beauty of a single bloom. 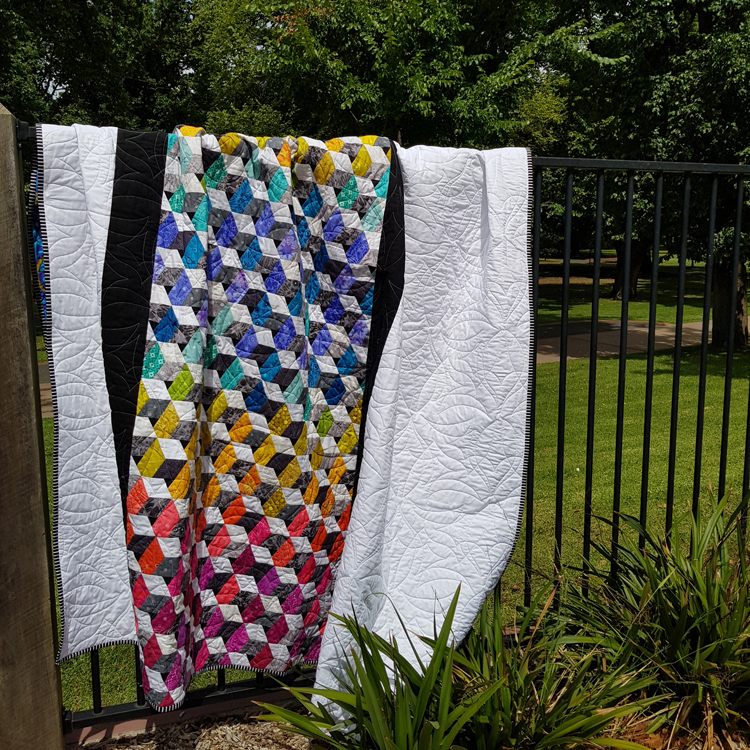 ‘Refraction’ is such a quilt. Inspired by the simple beauty of ‘Sunlight through a stained-glass panel’. This quilt plays with low volume and grey scale prints help to give the dimensional effect of the colored beams of light shining through. 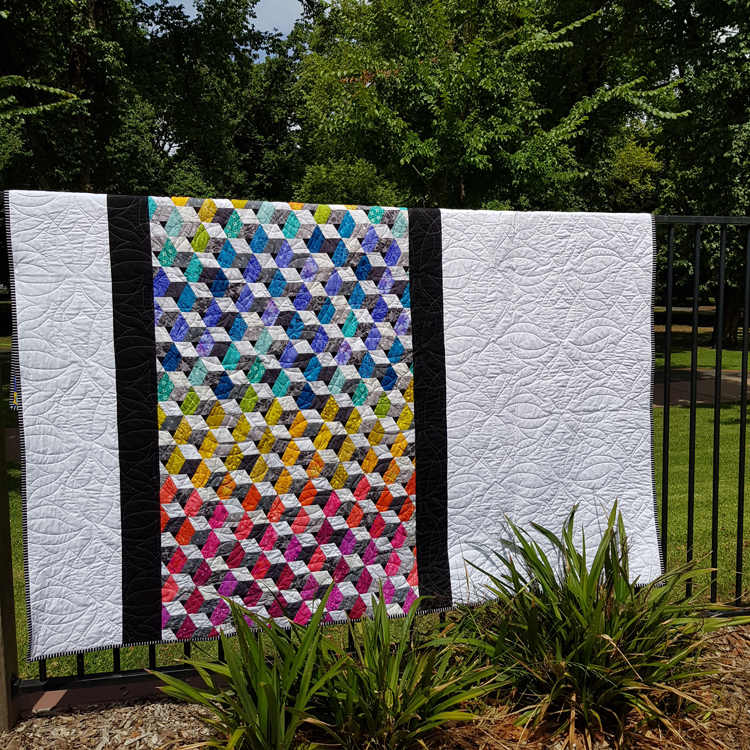 The original quilt highlights Alison Glass fabrics and would work well in any rainbow combination. The pattern contains full EPP Instructions with lots of pictures and a colouring sheet to plan the colour graduation. 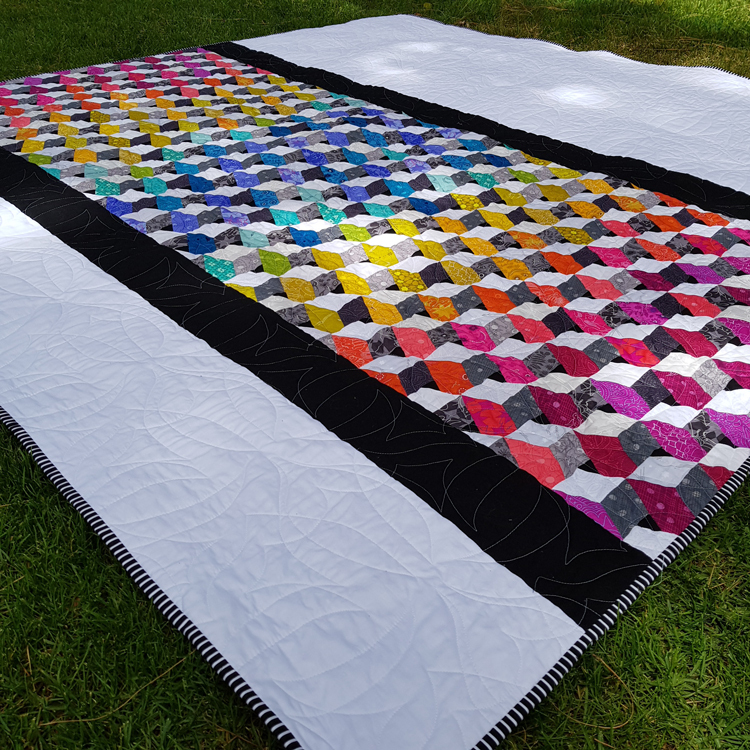 ‘Refraction’ is a Modern English Paper Pieced Quilt that finishes at 80” x 78”. The pattern comes packaged with the Templates and is Scan n Cut friendly. There is also a FULL EPP Papers pack available and the full kit of the Pattern, Templates and papers come packaged in a handy zip lock bag that keeps everything neat and together.